At Nomique we have been busy creating new solutions for the evolving workplace. Today we would like to introduce you to our Lux range which was designed with flexibility in mind to meet the challenges of the modern workplace. The Lux range was designed by Jason Lansdale and was launched at Clerkenwell Design Week 2015, where it received a great reception. The range comprises of a single seat tub chair, a double seat tub sofa as well as a single or double seat ottoman. All of these options feature tapered solid oak legs, which give a beautiful natural finish to every product. There is also a high back wing option on the single seat chair and double seat sofa, giving the user their personal space back. Also don't forget about the polished look of the solid oak or white laminate tables, with three options for height and shape. No longer are we all forced to sit at our desks all day, freedom of movement has become part of the normal day to day working environment. Employers are mixing things up and starting to implement more adaptable and engaging spaces within the workplace. One of the main reasons for this change is the recent advancements in mobile technology. This mobility is giving workers the chance to choose how and where they work, improving social interaction and collaboration. 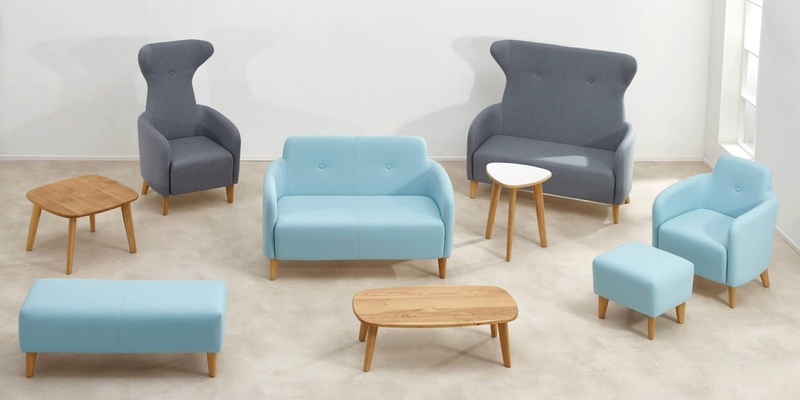 The Lux range creates the perfect casual setting for break out areas in the work place. Robust and hardwearing but with that homely feel, they are blurring the lines between the commercial office and the living room. With the high back wing versions the user can escape into their own space, getting the privacy they've been longing after. This increases the positive atmosphere in the workplace, providing a place to take time out, relax and recharge your batteries. These more versatile, adaptable and engaging spaces make great spontaneous meeting points around the office. This then improves communication, networking and collaboration amongst employees. 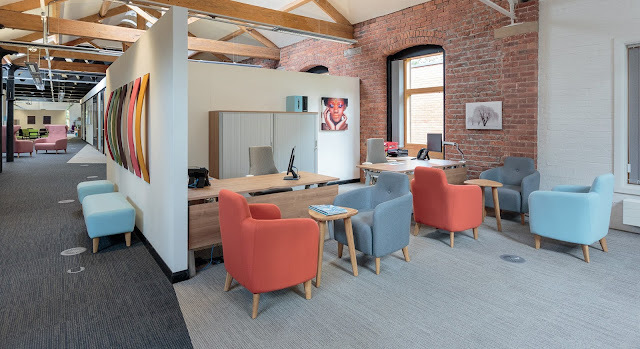 It is of great importance that these spaces are well thought out, to make the working environment as appealing as possible, to motivate employees and keep the best people on board. The Lux range is making businesses thrive by motivating employees to stay creative and engaged for longer in the workplace.